I don't know if you are like me but I seem to have two kinds of shopping trips. There is the "quickie", as in quickly in and quickly out (depending who's in front at the cash register) to get a couple of items I may have forgotten for dinner or something. The second kind, my favorite, is the one in which I have my baking plans carefully thought with a list of ingredients necessary and where I have and take the time to perouse the aisles checking out new products, picking up, touching, smelling fruits and vegetables, talking with the fish guy or my salad guy. He calls me "papillon" because like a butterfly I go from one bin to the next but can't make up my mind on anything. It is during those longer shopping outings that I often get sucked into buying a case of fruits or other because it is a one day sale, and you probably figured by the title of today's post that this is what happened when I found myself hauling a case of lemon out to my car. I tried to do everything possible, lemon curd, preserves, cocktails, but irreversibly found myself drawn to the citrus recipes I found in Dorie Greenspan's Baking From My Home To Yours. 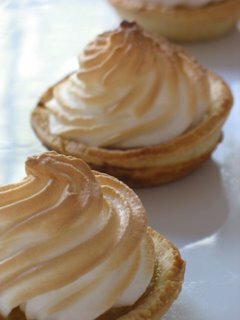 I had a difficult time settling on one and I promised myself to try the others fairly soon,as they look and sound so tempting: Pierre Herme's Lemon Cream tart, Fresh Orange Cream Tart, Creamiest Lime Cream Meringue Pie, Florida Pie,....and the one chosen today: Tartest Lemon Tart. 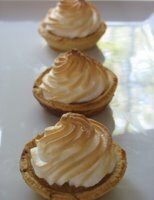 I decided to make individual tarts and changed the ingredients only very slightly. Here is the recipe, adapted from Dorie Greenspan. Sweet Tart Dough or your prefered pate sablee. For the dough: in a food processor, combine 1 1/2 cups flour, 1/2 cup powdered sugar and 1 stick of butter, pulse until it ressembles coarse meal, add 1 egg yolk and pulse until combined into a ball. I flattened it into a disk in between sheets of plastic wrap, refrigerated it and rolled it out to cut rounds big enough to fit into my mini tart pans. The dough gets soft very fast so you can flour your fingertips to push it up and down the sides and bottoms of the pans.You can also sub. 1/4 cup ground nuts for 1/4 cup of the flour for added flavor. For the filling: juice the lemons and strain if necessary. 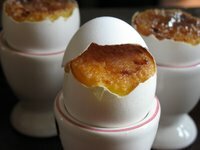 Combine the egg, yolks, sugar and cornstarch, add lemon juice and pour into the tart shells. Bake at 350 for 15 - 20 minutes. Let cool completely. For the meringue: whip the egg whites to a foam, slowly add the sugar to form a shiny meringue. Pipe on top of the baked and cooled tarts. Put under broiler for a couple of minutes or until lighlty browned. Serve, and pucker be ready...these are tart! I meant to post this last night but my computer went on strike, just got it back working this afternoon. I realized there had not been a banana post in a while and figured it was about time, now that I have been reading this book for a couple of days and found a yummy recipe. 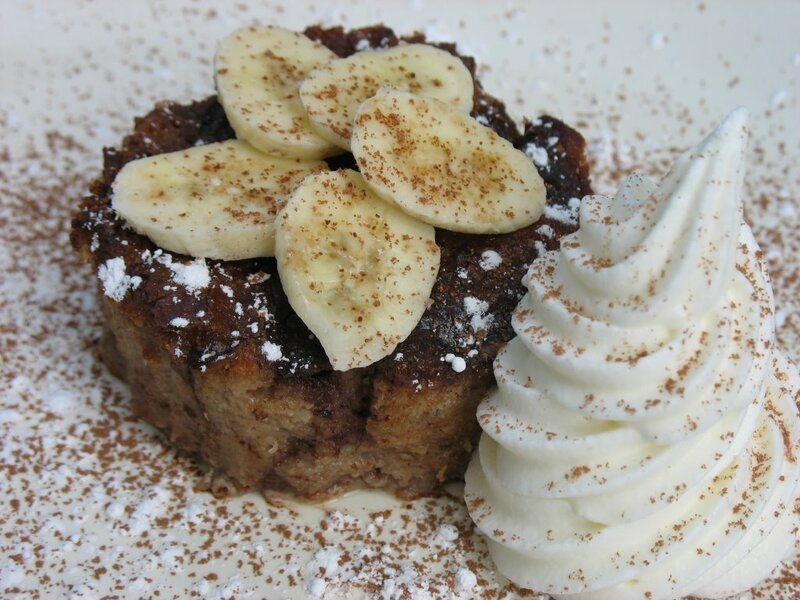 The original one is for a dark chocolate bread pudding with raisins, but with hubby having an aversion to the little critters and a never ending love for bananas, the decision to swap them quickly became a requirement. The recipe calls for stale bread but with my parents visiting there never seem to be any left around the house so I took some brioche and let it dry in the oven at 200 for 30 minutes. The resulting dessert was delicious and is only tempting me to make the original and compare. Four Star Chocolate Bread Pudding, adapted from Dorie Greenspan, Baking From My Home To Yours. 6 oz. 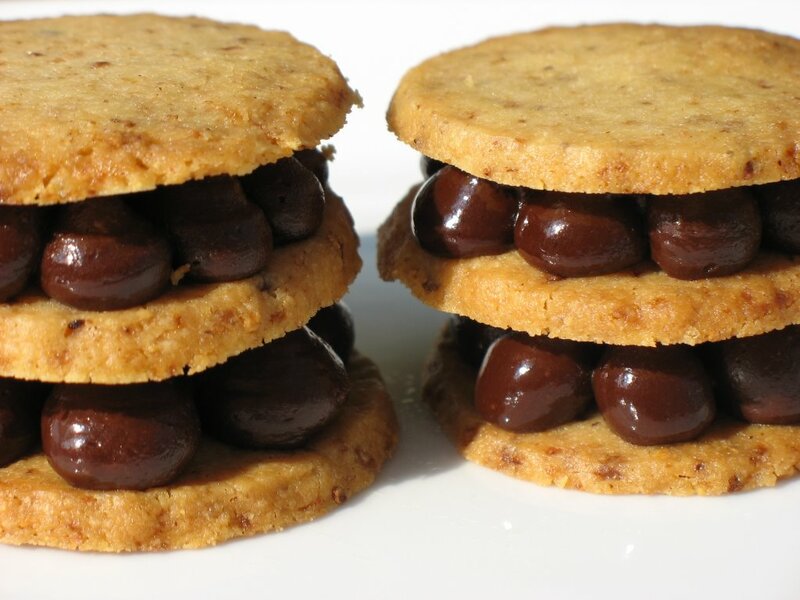 bittersweet chocolate chips. Preheat oven to 350. Butter the bottom and side of a 9x13 inch baking pan, and put it in a roasting pan. Spread the stale bread and bananas evenly on the bottom. Heat the milk and cream to boiling point. In a separate bowl, whisk the eggs and sugar until pale. Slowly add the milk and cream to the mixture. Add the chocolate and stir until incorporated and batter is smooth. Pour on top of the bread and the bananas. Put the roasting pan in the oven and pour hot water halfway up the side of the baking pan, so you have a nice water bath (bain marie) going on. Bake 35-45 minutes or until a knife inserted in the middle comes out clear. The pudding was light yet rich, consistent but not stuffing. The chocolate and cream added great depth to all the flavors. 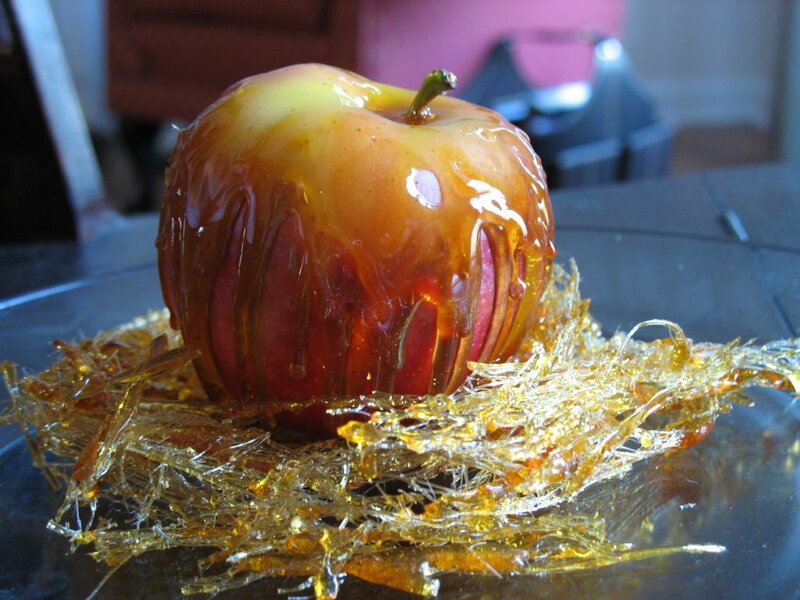 When Stephanie sent an open invitation to her Kids' Blog Party, I decided to play with fairy tales and came up with caramel apples. To find the perfect one, I had to buy a whole bag. Every self respecting blogger knows what I am talking about, we have to go through an entire stack of anything just to find the perfect one: not too big, not too small, not too bumpy, not too lumpy, and so forth. It is still summer weather here and my baking spirit is still thinking of plums, nectarines and other stone fruits. As a goood shopper, I just can't let an entire bag of good apples go to waste, so I started to perouse several cookbooks... until my mom pulled out yet another trick out of her suitcase: about 10 handwritten recipes that I used to make regularly as a kid. I took a trip down memory lane reading about Lenotre's fruit cake, chocolate mousse, yogurt cake and my beloved Gateau Aux Pommes. I had it! We were saved! My bag of apples would not encounter a tragic end (without baking) but would rather find its fate in a light cake topped with a buttery crust. I remember copying this recipe from an old Tupperware brochure that came with a set of containers my mom had purchased. Mix together the flour, cornstarch and sugar. Incorporate the milk, oil and eggs so that you get a smooth batter. Pour the batter into a buttered 9 inch pan. Layer the apples on top and bake at 350 degrees until light golden. In the meantime, prepare the glaze. Whisk the egg and sugar until very plae, incorporate the butter and vanilla extract. When the cake is lightly golden, pour the glaze ontop and put the cake back in the oven until completely baked through. It should have a nice crunchy top from the glaze but stay moist thanks to the apples. Very easy, comforting and satisfying. I guess we are getting ready for fall after all. 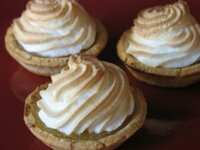 The core of this recipe is lemon curd and I had noticed a lighter version in Alice Medrich's Chocolate and the Art of Low Fat Desserts that seemed more appropriate for my guests than the usual one finished off with butter. I usually double up on the ingredients to make lemon pie but faced with a spur of the moment decision I did not have enough lemons to do so, and altough my glasses are not full, the servings were perfect for a light dessert. Combine lemon zest. juice and sugar in a small saucepan on the stove and bring to a simmer. In a separate bowl, whisk the egg until light. Beat some of the hot lemon mixture into the egg. Scrape the egg mixture back into the saucepan. Cook, stirrring constantly and reaching all over the bottom and sides of the saucepan. Continue to cook and stir for 15 seconds. Pour through a strainer set over a bowl and cover with plastic wrap to prevent forming a skin, allow to cool before use. For the mousse; whip 2 egg whites to a foam, slowly incorporate 1/4 cup sugar, one Tb. at a time, until you get a glossy meringue.Fold gently into the lemon curd. Layer ladyfingers and mousse in glasses or dishes and serve. Nice, refreshing and perfectly appropriate to watch the sunset. 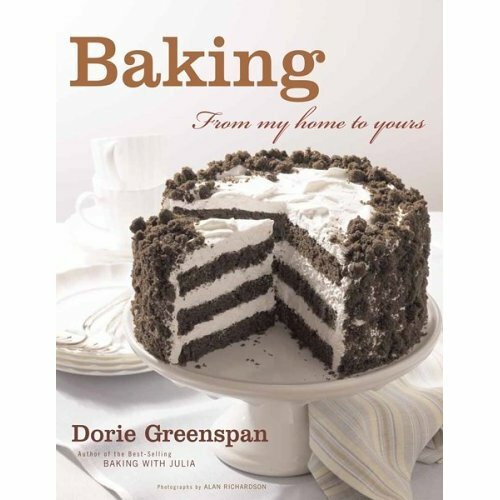 No recipe tonight, enjoying the parents and my new acquisition, this book by Dorie Greenspan. I see trouble on the horizon as there are no recipe I do not wish to make! My parents' suitcases are real treasure troves when they come and visit. My mother usually brings me a couple of cookbooks, some spices, some baking ingredients I have a difficult time finding here. There is a collection of Lindt chocolate bars, with nibs of macarons, tiramisu, Irish coffee, or nougat, bar after bar of Valhrona chocolate, you get the drift. We spend countless hours at the table reminiscing about family dinners, holiday parties and other gatherings. They have gotten very involved in my blogging in the last few months and always bring interesting comments about the photographs but mostly about the food and the items I bake. The main questions are "what do you do with all of that? Who eats it? ", to which my husband answers by rubbing his belly and the neighbor pokes his head out the window around 6 pm. for a sugar fix! What does this has to do with "improvising"? Well, I don't have much time to sit and read blogs, or play around in my kitchen because every minute of my time is devoted to them. I love them visiting don't get me wrong, but I pretty much have to put "selfish" activities on the back burner for a while. And there you have it, my blogger's dilemna: I have just enough time between our outing, indulging my craving for chocolate with an easy to put together recipe and the last of the good light outside to take a semi descent shot. I decided to make hazelnut shortbread cookies and to fill them with a dark chocolate and carambars ganache. Carambars are really cool caramels, wrapped in colorful paper with jokes on the inside. I guess you could substitute any semi soft caramel candy you like, these have kind of a toffee flavor. At first glance, the recipe does not seem to comply with my time restriction but on the contrary! You can make everything in the morning and finish the assembly in the afternoon or before dinner. You can also make throughout the day if you have more time around the house. Ground the hazelnuts with 1/2 cup of the sugar. In mixer bowl, cream together the butter and remanining sugar, add the hazelnuts and flour until the dough comes together. Divide the dough into 4 balls and shape each piece into a disc of 4 inches in diameters in between two sheets of plastic wrap. Refrigerate until firm. Roll the dough to 1/8 inch thick and cut rounds with plain or scalloped 2 inch cookie cutters. Gather scraps, form a ball and refrigerate. Roll out dough and start the whole cutting process again. Bake in a 35o degree oven for 10-12 minutes. Let cool completely. Heat the cream until it comes to a boil. Lower the heat down and add the caramels, stir until they are melted. Remove from the heat and stir in the chocolate. Let stand for a couple if minutes and then stir until all the chocolate is incorporated and the ganache is smooth. Let it cool 15-20 minutes until spreadable but not stiff. At this point you can spread the ganache with a spatula between 2 cookies and call it a day or fill a pastry bag with it and pipe rounds between 2 or 3 cookies like I have done. These were more than a bite full but were thoroughly enjoyed instead of dessert with a good espresso. It is my 100th post! Champagne, here I am! Look What I Found In My Egg! Now that I am hooked on blogging events, I get really worried when we lose our Internet connection. Such was the case last night and I got really nervous about not making the deadline for this month SHF "Surprise Inside". Now that it's back, this is the third post I write about it. I write it up all the way to the end and hit the wrong button and lose the whole thing. I am getting frustrated. Nothing than a shortbread cookie can't fix...feeling better already! When I read the word "surprise" I thought "how fun" and I knew exactly what to make. Years ago at the restaurant we had a banquet for some big honchos from Grand Marnier and I had to make a bite size dessert plate incorporating the flavor. I'll never forget that day: the anxiety of coming up with creative, intense and somewhat light spirited (no pun) desserts because these guys were gourmet big suits with a sweet tooth. 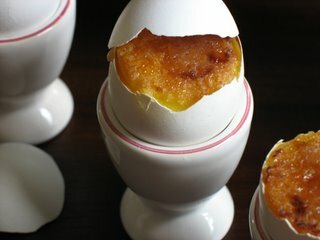 I made bite size Grand Marnier cheesecakes, cream puff swans with Grand Marnier mousse and Grand Marnier creme brulee in egg shells. Out of all the desserts presented that night, the creme brulee got the highest praise. Not only did they taste great (if I may give myself a pat on the back) but they SURPRISED everyone by being baked and served inside an egg. 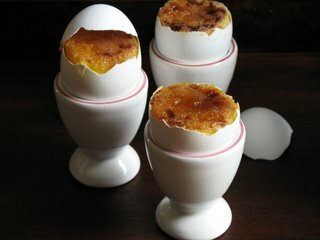 After all, what is a creme brulee if not an (elaborated) egg custard. 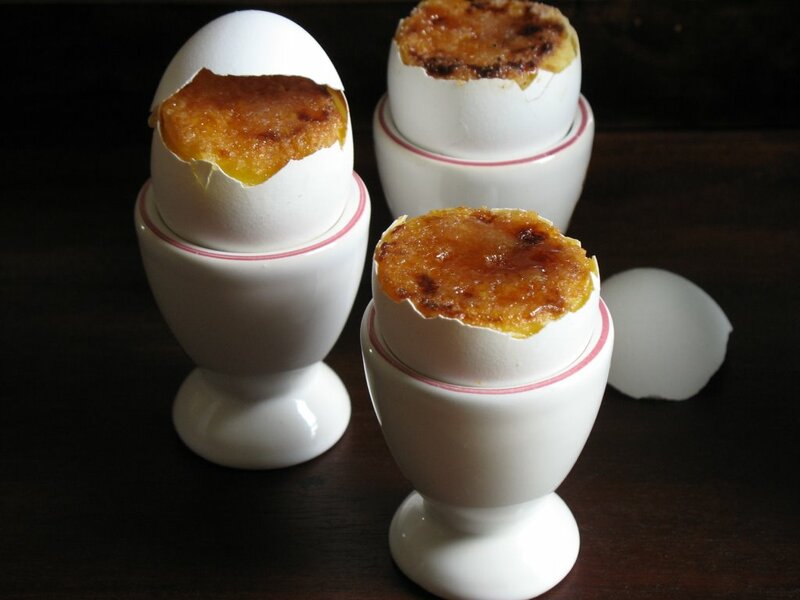 I love creme brulee, but since the days I used to make 50-75 a day at the restaurant, I seldom serve one for dessert. Not because of the egg yolk/cream factor but because it is so simple of a dessert that I often overlook it. Really, it is not a complicated thing if you respect all the steps, and I often think that the reason why I don't make them is because I have no willpower when I see one, and two, and three...you get the picture. There are several ways to make brulees, I learn this one from the pastry chef I replaced at the restaurant. It worked everytime so I never changed it. You can flavor it any way you wish, in this case I did the good old Grand Marnier version. Prepare the shells: break the eggs you will need for the recipe very carefully. Separate the yolks and whites. Rinse the shells under cold water and leave to dry. Prepare your pan: take a muffin pan and put a small piece of sandwich bread in the bottom of each cabity and make an indentation with your fingers to create a nest for the egg shells. Make sure your pan will fit in a large roasting pan. In a bowl, whip the egg yolks and sugar until very pale. Heat the cream almost to boiling point. Slowly whisk the cream into the yolks, stirring constantly. Let cool 10 minutes and park in the fridge until completely cold. Pour the batter through a sieve to eliminate foam. Divide among the shells.Put hot water in the bottom of your roasting pan and bake at 325 degrees for 15 minutes. For the burnt sugar tops: mix equal part brown sugar and white sugar and sprinkle about 1/2 Tb. on top of each shells. Put under the broiler until nicely browned. My parents have arrived and brought along with them a suitcase full of goodies and a couple of restrictions. See, I now have a diabetic and a heart patient living in Zee House of Sweets (! ), thus my cooking and baking has to adapt. In the meantime, they surely did not come empty handed bringing a dozen of gourmet chocolate bars, caramels, hazelnut praline powder and other delicacies to bake with. More challenges! Everybody in my family loves donuts, cakey or yeasty does not matter as long as they have that particular flavor of vanilla, nutmeg and cinnamon. I have been wanting to make batch for a while and thought that their visit was a great opportunity to do so.... but I love them and surely want to preserve their health! I looked for a while for the recipe that would allow me to make baked donuts without losing texture and flavor. I decided upon a recipe fro Martha Stewart and tweaked it so I would send my mom's insulin pump into a frenzy and my dad's heart into shock. I love that the recipe starts with a sponge one day, sat overnight and more yeast was added along with the flour and some buttermilk... all these words sounded like the end result could be quite light and airy if modified properly. After following her recipe, I added enough flour to have still a sticky dough, but one that could be handled and kneaded a little bit, allowing me to form some nice little balls. I let them rise again and baked them with a light sprinkle of cinnamon sugar. The result: just perfect, we can't stop eating them! Great way to have some dounuts without taking that deep fryer out. 1. In bowl of electric mixer with paddle, stir 1 envelope yeast into 1/2 cup plus 2 tablespoons warm water. Let stand until foamy, about 5 minutes. Add 1 cup flour; beat with paddle on low until combined. Cover; chill this “sponge” overnight. 2. Remove sponge from refrigerator; bring to room temperature. In separate bowl, mix remaining envelope yeast, 2 tablespoons warm water, and the buttermilk. Let stand until foamy, about 5 minutes. 3. Mix remaining 2 1/4 cups flour, sugar, and salt. Add buttermilk mixture, egg yolks, and cooled melted butter. Beat on low until dough comes together, about 2 minutes. Add sponge; beat until dough is soft and sticky, 3 to 4 minutes. On clean surface, knead a few turns into a ball. Coat bowl with cooking spray; add dough smooth side up. Cover; let stand in warm place until doubled in bulk, about 3 hours. 4. Cut dough into thirds; cover with plastic wrap. On lightly floured surface, roll out each piece 1/4 inch thick. Using 2-inch and 3/4-inch cookie cutters, cut out doughnuts and centers. Place on parchment-lined baking sheet. Let stand in a warm place to rise, 15 minutes. 5. 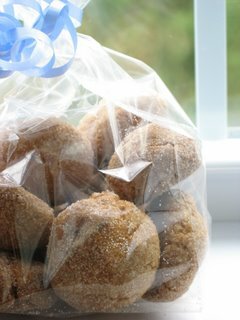 Sprinkle some sugar combined with cinnamon (to taste) on top of them and bake at 35o degrees for 10 minutes. Add powdered sugar if desired. (I only did it for the picture). BBM: My Package Has Arrived! As you know I have been participating in the second Blogging By Mail organized and orchastrated by Stephanie from Dispensing Happiness. I had a lot of fun putting some goodies together to send off to a far away country (I'll give you only this bit in case that blogger wanders on this site), but I had even more fun receiving a package from Lisa at La Mia Cucina. She included a lovely note with a bunch of goodies. Local honey, bell pepper and romano dressing, vidalia onion and peach salsa, a Valhrona dark chocolate bar, a roseberry and dark chocolate bar, local honey roasted peanut butter and homemade buckeyes. I have to say that the peanut butter and candies suffered from the heat during the delivery process so they were quickly put in the fridge. We had a couple of buckeyes last night and they are sinfully delicious. We enjoyed the peanut butter on some toast this morning. Lisa, hubby thinks you rock because honey roasted is the only kind he likes. I think you rock because everything was so thoughtful. I made salmon last night and put a spoonful of the salsa on top of a couple of fillet after searing them and it was AWESOME! I plan on trying the dressing on m salad tonight and I am sure my parents will enjoy the honey with their brioche tomorrow. Thank you, thank you! Hop to pop one more buckeye in my belly! I always seem to do the same thing when Stephanie throws a party: I get caught up with not so fun things to do and end up watching from the sideline while everybody brings a lovely dish and a drink. After the last one, I told myself that I would participate no matter what the theme was. I kind of bit my tongue and waited anxiously for this month' s theme. Usually when I throw myself challenges I always wish I had put my foot in my mouth. Yep, that's how I ended up challenging the neighbor to push ups and hurt for 3 days afterwards, or got myself enrolled in a 5K (albeit for a good cause), and last but not least making 3 wedding cakes in our old tiny kitchen for the same day....Now you understand why I sit quietly for a while before jumping in. But revenons a nos moutons, let's get back to our topic. This month's theme is all about the kids. Seems quite easy at first glance, but when you have been an adult for a while and you don't have children it can seem quite intimidating. My first inclination was to cheat and sit this one out again, but then my inner child woke up. I was always the kid with her nose burried in books. I even used to read in the darkness of my room, only using the light of the fading sun reflecting on the white closets; it actually is often bright like this in the South of France. I must be quite a romantic because I loved (still do) fairy tales. Enchanted forests, fantastic heroes, dark and dramatic castles. I would spend hours imaginaing dresses, attires, dialogues. My parents had these great books on tapes with all the famous fairy tales that they would play on road trips and I could recite them in my sleep. Charles Perrault, the Grimm brothers, Stahl, Madame d'Aulnoy,...I loved these stories because as a gourmande, I was always fascinated by the opulent descriptions of the kings and queens tables and feasts. I would imagine each dish, create a smell and a taste that could only be found in the imaginary. It struck me as an adult how much food is a central theme of fairy tales, rich or poor, everybody used it, ate it, gathered around it. Penachio and his 200 bread rolls and 200 chocolate mugs, Alice in Wonderland and her Eat Me Cake, Hansel and Gretel and their gingerbread house, Little Red Riding Hood and her biscuits for grandma. 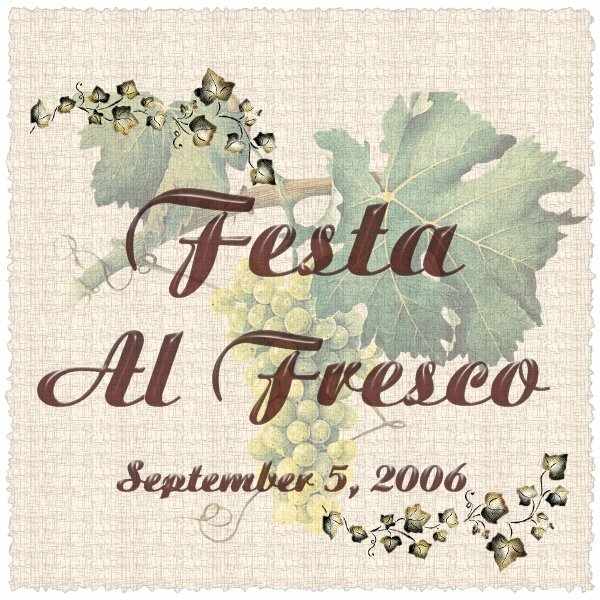 It is no wonder that my childhood friends came back to pay me a visit and all wanted to get invited to this Blog Party #14! Which one to pick? I wanted to bring them all to the party! Here in South Carolina, Summer is still lingering and Fall is barely making an appearance, yet beautiful red and gold apples were everywhere at the market. Hence, only Snow White made the cut and got an invitation. Her only requirement was to bring one of her delicious apples, except I got her the spot so no poisonous ones , thank you very much, but drenched and nested in beautiful caramel. In a saucepan, combine sugar, lemon juice and water. Boil until a candy thermomether reads 155 Celsius (very light amber color). Pour over each apples. I set mine on a cookie rack over a sheet pan. Reheat the caramel a bit and using 2 forks, dip them into the caramel and drizzled caramel strings over parchment paper. Gather around the apples and enjoy! Note: I wanted more strings of caramel but I forgot that I was in the South and today was particularly humid, even in the house, so aramel work almost turned into caramel shmuck! I got really nostalgic making these and craved my favorite kid drink, a hot chocolate with whipped cream and dusted with nutmeg. Thanks Stephanie for the invite. Can't wait to see what everybody brings! We have been quite busy these past couple of days so I have not attempted anything really new. I am still surrounded with baguettes and brioches and I guarantee there will never be enough! I had an order for madeleines, so I made a double batch and added chocolate chips and toffee extract to the second batch. I always use the same recipe but this time I did not go for the thermic shock, inspired by Avital, and baked them at a constant 400 degrees and the madeleines still had that lovely little bump. Here it is again. I promise to be more inventive soon, especially since I want to participate to Blog Party 14 and Sugar High Friday. 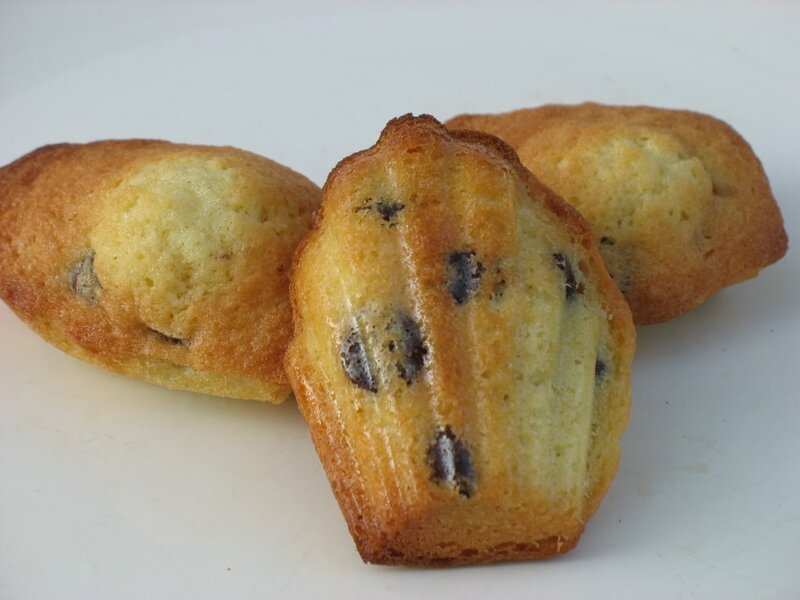 Madeleines de Commercy, adapted from "Les Madeleines salees et sucrees de Sophie" by Sophie Dudemaine. Preheat oven to 500 degrees. Melt the butter either in the microwave or in a saucepan on low heat. Let it cool a bit.In the bowl of an electric mixer, whip the eggs and the sugar until pale yellow. Add the flour and baking powder. Mix on medium high speed until everything is well incorporated, add the melted butter. Pour one Tb. of the batter into the center of madeleine molds (I use silicone ones). Bake in the center of your oven for 4 minutes at 500, then lower the temperature to 400 and bake another 4 minutes. Let cool 5 minutes and unmold. I turned around long enough to already be missing 4! 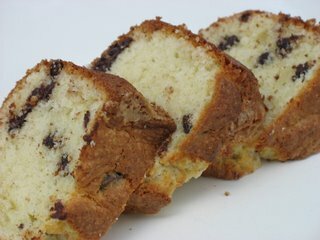 - I already know what chocolate and banana pound cake taste like, so combining the two is easy to imagine flavor wise. 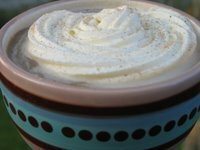 - I know that since I don't have mascarpone on hand, I can substitute cream cheese without (purists cover your eyes) altering the recipe too much. - Since I want to add 1/2 cup finely powdered dry coconut, I need to add a tad more liquid if the batter seems stiff, I chose to add 1/4 dark rum, to enhance to the tropical feeling. It is easy for seasoned baker and cook to change recipes without messing up. 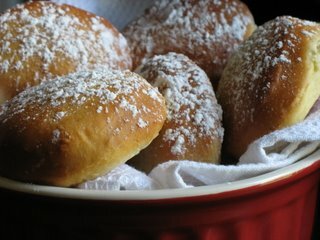 Once you have mastered the different doughs and baking techniques of creaming, sifted, adding, alternating, the sky is the limit! I think that every baker who wants to take it a step further should spend soe time acquiring the discipline and techniques necessary but after that: Have Fun! Oh yeah: playing around with a recipe does not always produce success, but we all learn from our mistakes! Sift dries. Combine sour cream and mascarpone, set aside. Beat butter until soft and gradually add the sugar. It should be super light and fluffy. Add eggs one at a time. Alternate dry ingredients with sour cream and mascarpone mixture. Fold in bananas and chocolate chunks (or chips). Bake 350 for 1 hour to 1 1/2 hour until toothpick comes out clean. The cake was delicious. It's like a drug, we keep having a slice at every meal. Sorry neighbors, seems like you won't taste this one! And the winner is : Lilo of Cuisine Campagne, followed by Debo at Les Agapes in second, and Mickymath of Au Jardin des Delices in third. It seems that there was a lot of controversy this time regarding the voting process but I stayed out of it all because truly, lthough I take every blogging event seriously this should remain a game. 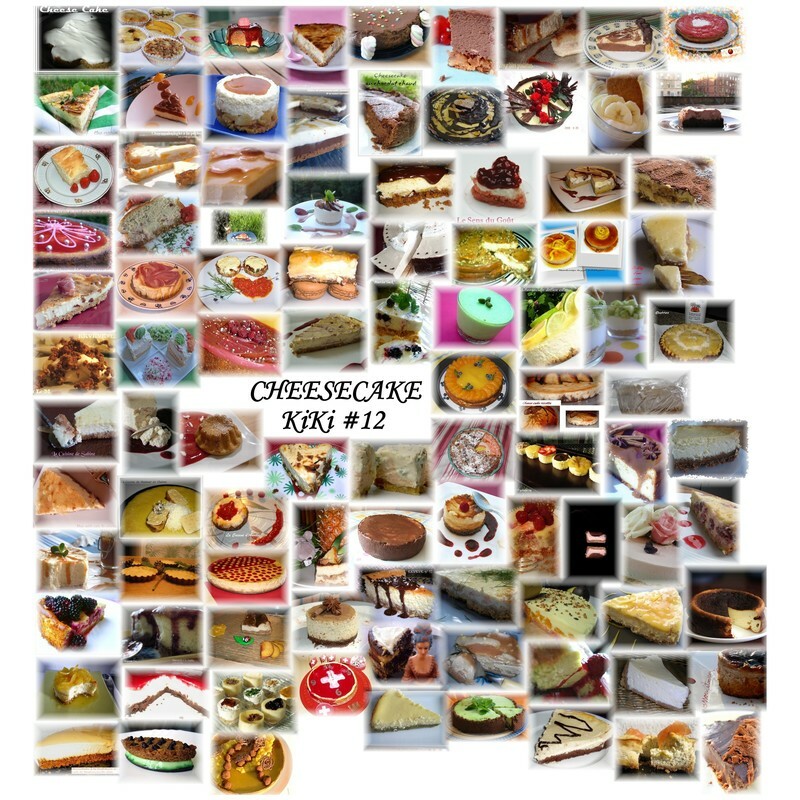 The KKV gave me the opportunity to bake something I like, take a picture, blog about it, maybe entice one or two people to make it and first and foremost to see what 96 other bloggers (yes, you read right)would come up with. Thanks Ninnie for hosting it and "Congratulations" to the winners! You had me at "Brioche"
I just pulled out 3 more loaves of sourdough baguettes (I added oat and wheat flours) and this morning I made 1 big brioche and 6 little ones. I plan on making another batch tomorrow and stock all that until next week. It seems like a big production but trust me, all this is not going to last long in our house! 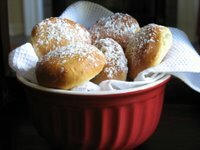 Here is my favorite brioche recipe, adapted slightly from Bo Friberg. For the Sponge: mix together 1 oz. fresh compressed yeast (or 0.5 dry), 1/2 cup warm milk, 2 Tb. honey and 4 oz. bread flour. cover and let rise until doubled. For the dough:add to the sponge 2 tsp. of salt, 2oz. granulated sugar, 4 eggs. Mix in 1/2 pound cake flour and 4 to 8 oz. cake flour. Start by adding 4, and if the dough is too sticky continue to add up to 8. Incorporate 4 oz. 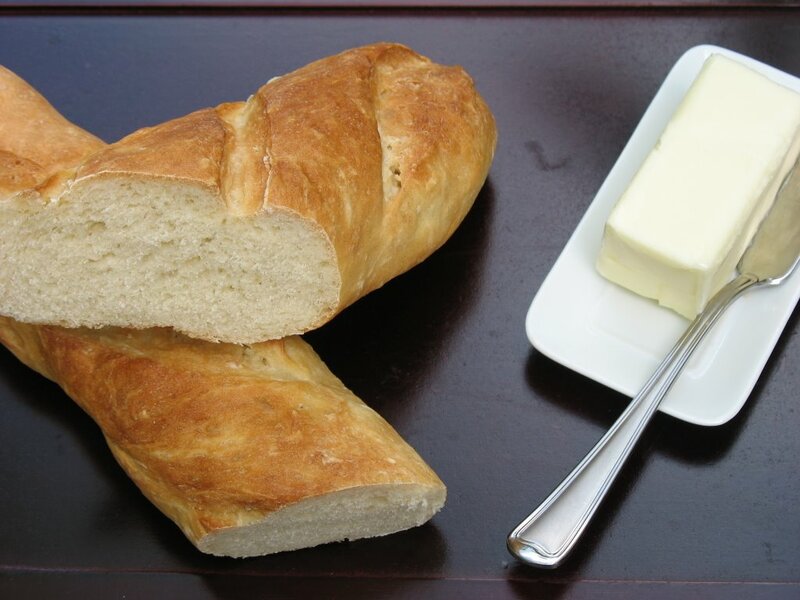 very soft butterThe dough should not stick to the sides of the bowl and have a shiny appearance. Cover and refrigerate 5 to 6 hours, or until doubled. If you want to use it earlier, let rise at room temp. Punch the dough down and shape into individual molds. Bake at 375 degrees until hollow when tapped, about 20 minutes. I also made Ashley's Banana Chocolate Pound Cake but it started raining bad and the light was pretty bad, so that will be for tomorrow. This time it is my parents arriving next Tuesday and staying for a month. We see them once or twice a year and it is always great to have them stay that long. I am not going to lie, the first couple of years were not picture perfect, we all had to find our marks but I believe we have the machine well oiled now and things go relatively smoothly. Well, except for one thing: I have no time for myself, there is always some translating to do, some store to hunt down for cousin so and so looking for a pair of pink converse, child size if you have them, thank you very much, need a pair of jeans that and that, Nintendo game blablabla, you get the picture. Baking becomes a midnight affair when everybody has retired to their quarter and I can stir and knead in peace. There is however one ritual I have to get prepared for: having bread at every meal, and not sandwich white, non monsieur! As much as I love my grocery store people, I really hate to shell out 3 bucks for a loaf of artisan bread I can make at home. Hence, in preparation of any family member visiting from the continent I start a week ahead of their arrival by stocking my freezer with baguettes, epis, sourdough loaves, brioches, croissants and such. Today was the first installment with 2 large brioches, 6 mini ones and 6 sourdough baguettes. For the baguettes I always use the same recipe, the sourdough starter is still alive and well, I pretty much leave it alone in the fridge until I need it (sometimes it can be a couple of months) and then I feed it everyday I use it for bread. Put the yeast into a bowl, add 10 cl water and let bloom for 20 minutes. in another bowl, mix the flour and salt. Form a well with a spoon and add the yeast/water combo, add the rest of the water and the starter. Mix well with the dough hook and either knead by hand or still with the mixer for a few minutes (up to 12). Let rest in a covered bowl for 20 minutes. Divide the dough in 3 parts and shape into rounds, let rise another 40 minutes. Form into baguettes and put on a baking sheet, let rise 1 1/2 hours. Preheat oven to 425. Sift some flour over the baguettes and cut slits on top with razor blade. Bake for 20 25 minutes. 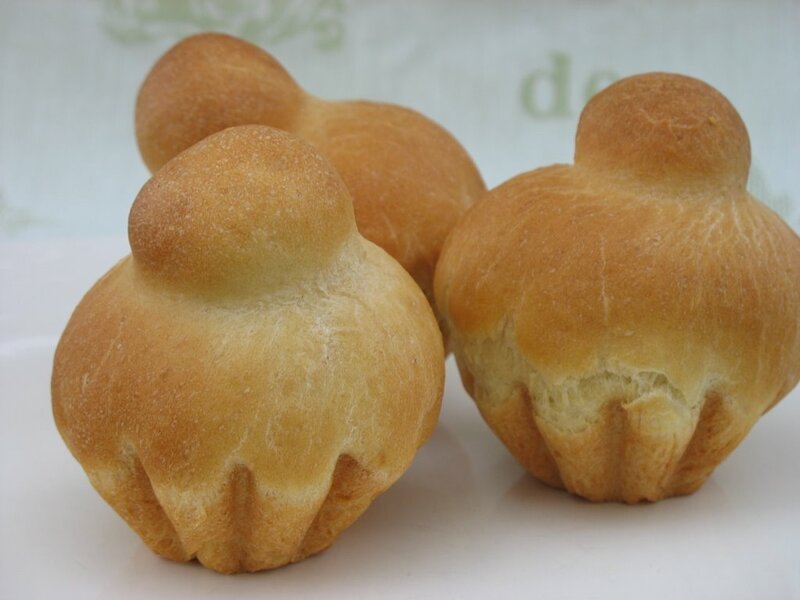 This bread comes from the Kayser Bakery, located on Monge street in Paris. 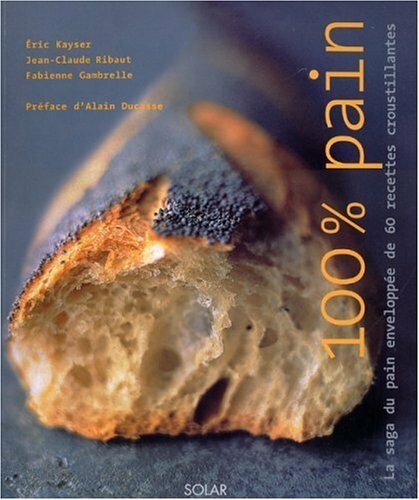 Starter: from Eric Kayser, 100% Pain. Day 1: mix 50g. warm water and 50g bread flour. Let stand at room temp. day 2: add 100g warm water and 100g flour, add 20g sugar. Let stand at room temp. Day 3 : add 200g water and 200g flour. Let stand 12 hours. Remove quantities as needed for recipes, if not used within 8 days, refrigerate and add more water/flour if the starter seems to lose life. You were probably on the edge of your seat wondering what had happened to the weekly banana recipe! Fear not, I got one, just delayed by other baking activities over the weekend. It kept me busy but also took me away from the ripening bananas and today they finally met their fate. I decided that they should not be the only one getting a little treatment and when the grocer handed me a couple of bruised, very ripe pears saying "I know you'll be able to do something with them, nobody wants them" I knew my bananas would not get toasty alone! I am not evil, I just love the flavors of pears and bananas together. It is kind of tropical, kind of fall. 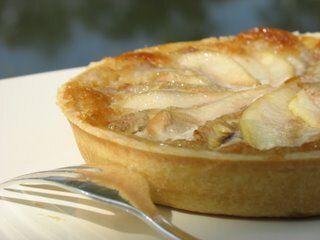 I got inspired by reading several recipes over the internet and combined the recipe for my banana tart with this one for pear tart. Thank you Anne for providing the background for the recipe. For the crust, I used Tuyau's recipe posted a couple days ago, just look at that crust! Thank you very much Mesdames! Combine flour and sugar, cut the butter and mix with your hand until you have a crumbly texture. Add the egg and mix quickly, add water if you fill the dough is too dry. Act quickly, the more you handle the dough the tougher it gets. Refrigerate 30 minutes. 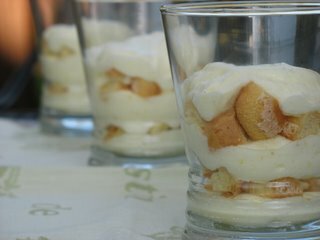 In a food processor combine the almonds through cream and process until smooth. Roll your crust and fill either a 9 inch pie plate or 4 individual tart molds. The ones I used were about 4 inches in diameter. Whether you make a whole pieor individual ones: pour the filling in pie crust, alternate slices of pears and bananas and bake at 350 for about 30-40 minutes. Et voila! Dessert tonight! If B. asked for a cookie I am just going to have to smack him! They smell so good, I want one right now, skip dinner! Yes, this process will see an end! Given the personality of the blogger I have been assigned, I decide to include something salty to my package as I heard that one cannot survive on chocolate and sugar alone (wonder why...). 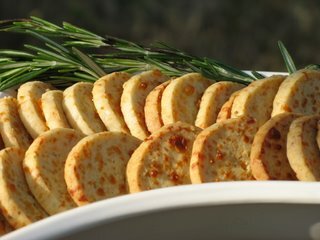 After my take on the very Southern Benne Seed Wafers with Flo Braker's Sesame Spice Chips, I wanted to add cheddar cheese crackers. I thought about purchasing them through the same company that makes the benne seed wafers here in Charleston and I was standing at the cah registers with a little package of cheddar coins when my ever baking alter ego decided that I could come up with my own at home. I like those littel coins, don't get me wrong but I am not sure how well these butter loaded (not an insult in this case) morsels would travel to a far away place. After much browsing online I finally settled on a recipe from Martha's site. Since she had not let me down with her Double Chocolate brownies, I figured this recipe would be a good option. As always I decide to tweak it a bit. These crackers are a good addition to a cheese platters because you can slather on some good cheese on there and they hold their texture (obviously we tried! What one has to do for blogging purposes!). I would not eat them on their own as they tend to be a bit on the dry side, but nibbled with a good wine, they are good. Combine flour, salt, pepper, and oregano in the bowl of a food processor; pulse to combine. Add butter; pulse until mixture resembles coarse meal. Add cheese; pulse until combined. With machine running, add the milk; process until dough comes together and is well combined. Transfer dough to a work surface. Shape dough into a 2-inch-wide log. Wrap with plastic wrap, and refrigerate for at least 24 hours. Heat oven to 325°. Slice chilled log into 1/4-inch-thick slices. Transfer slices to a parchment-lined baking sheet. Bake immediately, rotating sheet once, until crackers are golden brown and firm in the center, 25 to 35 minutes. Transfer to a rack to cool. Crackers may be made a day ahead and kept in an airtight container at room temperature. Now, I have to vacuum seal everything and send this baby off! These are going to go into my BBM partner's package...if I can hide them long enough from the Cookie Monster. I have been making these since I first saw them in Cooking Light Magazine in 2001. Back then I had just realized what cookie fanatic I had married, and I had decided to come up with healthier version of his favorites if I was going to bake that much. If he does not get his cookie fix, I have all the pencils heads chewed up! I bake this about once a week and yet I had never blogged about them before. So here they are, with my changes. Lightly spoon flours into dry measuring cups, and level with a knife. Combine flours and next 5 ingredients (flours through ground ginger); stir well with a whisk. Make a well in center of mixture. 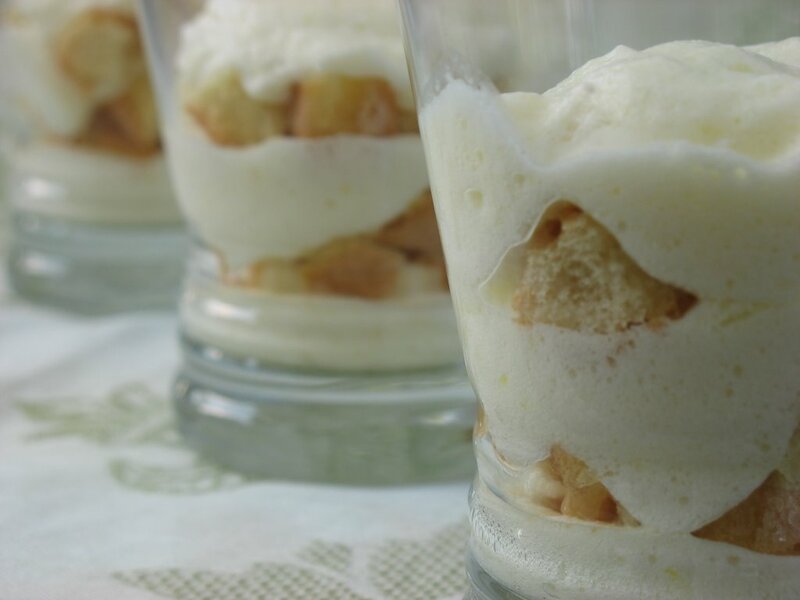 Combine 1 cup sugar, applesauce, and next 4 ingredients (applesauce through vanilla). Add to flour mixture, stirring just until moist; cover and chill dough at least 1 hour. I skip this step and add 1 Tb of water to the dough. Lightly coat hands with flour. Shape dough into 24 balls (about 2 tablespoons each; dough will be sticky). Roll balls in 1/4 cup sugar. Place balls 2 inches apart on baking sheets coated with cooking spray. Bake at 350° for 15 minutes or until lightly browned. Cool 1 minute on pan. Remove from pan; cool completely on wire racks. Note: These freeze well. 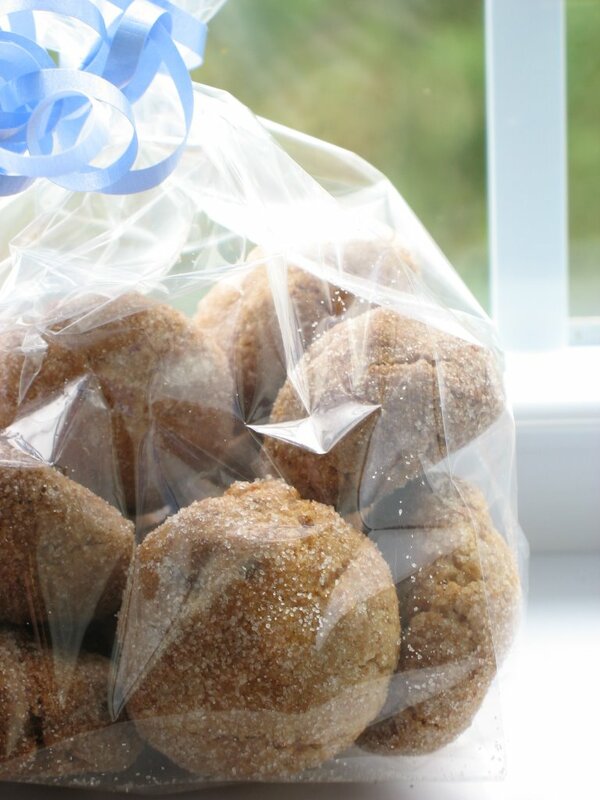 Place cooled cookies in a heavy-duty zip-top plastic bag; store in freezer for up to 1 month. Thaw at room temperature. I usually get more cookies, 30 - 32. 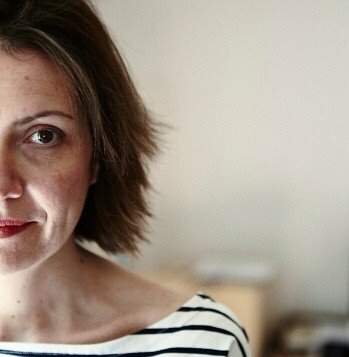 Note: You probably have noticed a change on this blog. I have decide to add Google Ads, not because I hope to make a buck with this blog, but because I have recently stopped my management position at the gym and teaching classes alone are not enough to finance my baking addiction ot my upcoming vacation to France. As Sarah from The Delicious Life says it : because sugar daddies don't grow on trees. 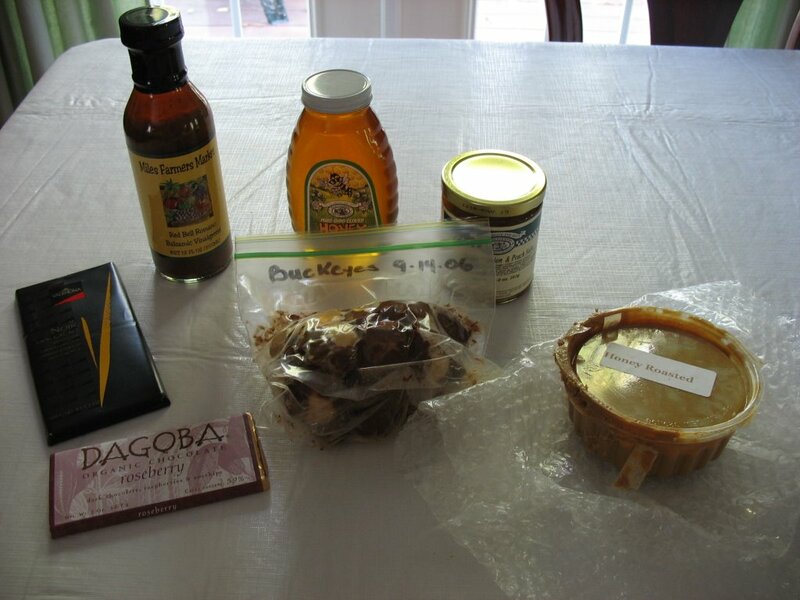 When I decided to participate in this month's Blogging by Mail, I had no idea how difficult it would be to come up with an interesting care package for the blogger I have been assigned. Duh! I don't know anything about her/him and although it would be easy to throw a bunch of things together and mail it off, I want to be able to relate to her/him, their blog/writing/experiences. I want to peak her/his interest, broaden her/his horizons, appeal to her/his senses. It has been a very interesting adventure to say the least! I decided to include in my package some things bought and somethings made, hoping that everything arrives in one piece. I have not sent it off yet but should be able to do so by the end of the week. 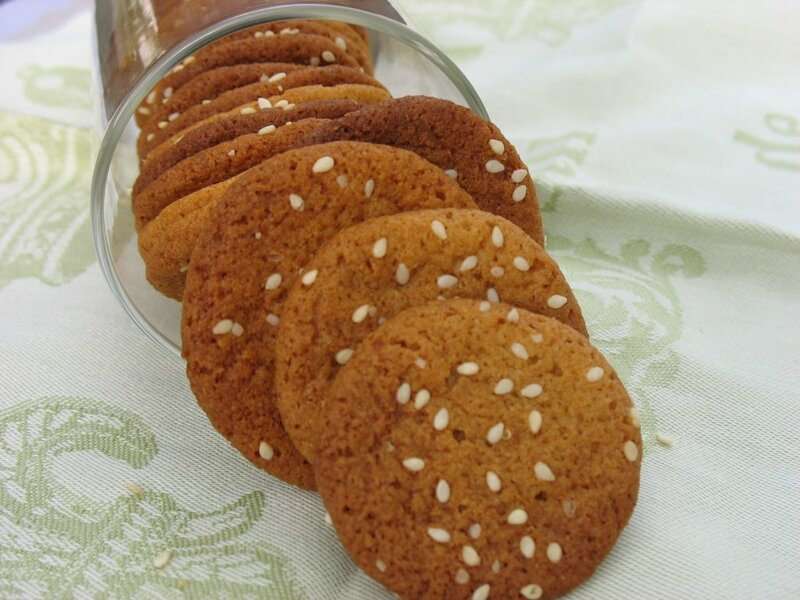 One of the items I decided to include is a beloved treat at my house, Flo Braker's Sesame Spice Chips. When I first opened her book, Sweet Miniatures, some years back I knew I had struck gold. It is a pure gem for the avid baker, caterer or fervent holiday/function cookie maker. 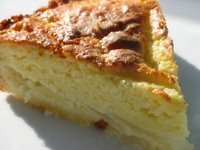 All the recipes have worked remarkably well for me and all her instructions are really clear and well written.This particular recipe comes together in a flash, makes a lot and the dough is piped rather than scooped. Sesame Spice Chips, adapted from Flo Braker. Preheat oven to 35o degrees. Line as many baking sheets as you have with parchment paper. Sift together the flour, soda, cinnamon and spices. Set aside. Using a 16 inch pastry bag fitted with a 1/2 inch plain decorating tip (in a pinch, a freezer bag works fine), pipe half teaspoons of dough 1 inch apart on the baking sheets. Using a damp pastry brush (or wet fingers slightly) flatten the cookies a bit. Sprinkle the sesame seeds over them. Bake for 8 minutes until they are flat, and dark brown. Stack in an airtight container and store at room temp. up to a week. Note: they freeze also really well. Ok, so the recipe is not a fast one but as Monisha said before fast food is not necessarily one that is made fast, it is just eaten that way. Trust me, these cookies are delicious! I think I just got lucky this summer. It was my first summer in our new house and I felt lucky to spread my ingredients, doughs, batters on new countertops, play on the cooktop or admire the new convection oven capabilities. Despite of a very humid and hot summer my breads, rolls, tarts and sugar creations came out great. I was knocking on wood everytime though. Apparently I did not knock hard enough. Everything I made yesterday turned out to be a failure. I weighed, measured, stirred, sifted, followed recipes, did not disturb science and chemistry and yet everything failed in one way shape or form. Let's see, first my donuts did not rise, my croissants got blah, my brownies tasted bland, my bread had an identity crisis.... I am telling you! A baker's hell! Allright, so maybe it was a sign that we did not need anymore sweets, that maybe my mojo had taken a vacation. Nevertheless, I am "une gourmande" and I have to end the day with something sweet. In desperation I started to make fruit salad, and that alone made me feel terrible: even with a splash of booze, it is nothing to write home about. I was about to cut up an orange when my eyes wandered onto the stack of recipes next to the fruit bowl and there it was, "The sign from the Pastry Gods": Anne's recipe for an orange and almond cake that looked quite appealing at that precise moment. Everything looked pretty straightforward, no major pastry prouesse but in my state of being that was not a bad thing to attempt! I toyed with the idea of following the recipe "a la lettre" (to the T), but I felt bold enough to defy my streak of bad luck and changed a couple of things. Here is the original recipe and my changes in ( ). Wash the oranges. In a saucepan, put the oranges and cover with water. Cook on medium heat for 45 minutes. Take them out of the water, cut them in half and put them in the bowl of a food processor and puree them, skin and all. Beat the butter and sugar until creamy. Add the eggs, one at a time, the baking powder, the almonds and the orange puree. For the syrup: put all the ingredients into a saucepan and reduce on low heat for about 20 minutes. Pour it on top of the cake when you take it out of the oven. I decided to skip this step as the cake seemed to be plenty moist. 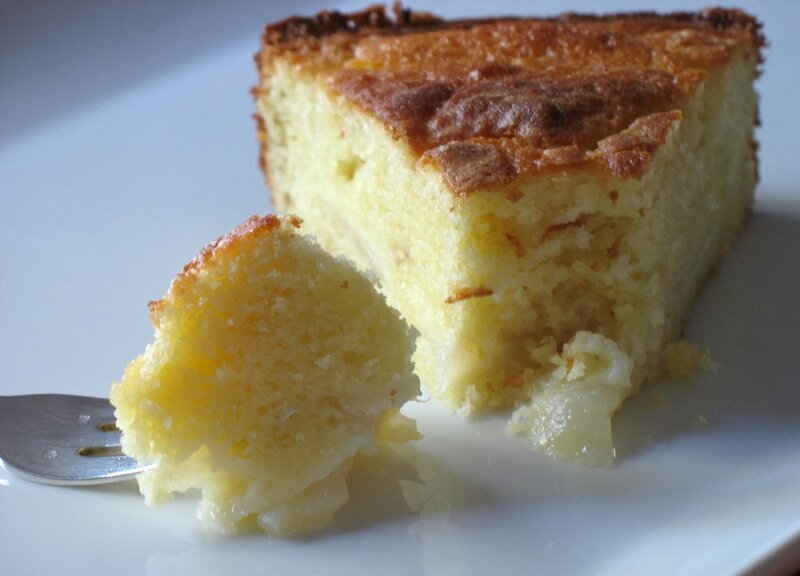 The result is an incredebly fragrant cake great to end a light meal or to start the day. I seemed to have gotten my bad luck episode. We'll see tomorrow! Two of my favorite bloggers are throwing a party and we are all invited! 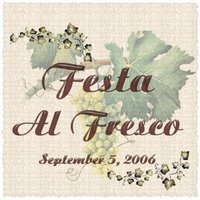 Yvonne from Cream Puff in Venice and Lis from La Mia Cucina wish to celebrate the end of the summer and are inviting everybody to participate by making a dish using one or more fresh summer ingredient(s). While at the market today I found small plums, also known as prune plums or Italian plums and I fell in love with the way they felt in my hand. They were perfectly ripe, smelled wonderful, their skin was soft yet still resilient as if they did not wanted to let go of summer. I did a really broad search for plum recipes and I finally settled on a plum crumble. What better way to say farewell to summer and get ready for the fall than with a crumble? I have a tendency to only make them in the winter or fall, because I do not really like cooked summer fruits. They are usually so good on their own that they never need much handling. I finally reconcialted my dislike of cooking summer fruit with this recipe. It is incredibly fragrant, yummy and oozing of plum juices. I found the recipe in the archives of the New York Times online, you can see it and the whole article here. 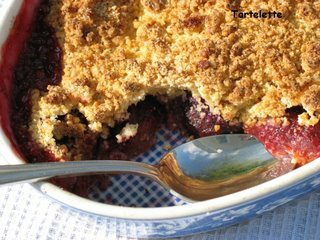 Plum Crumble, adapted from the New York Times. Heat oven at 350 degrees. Mix together the brown sugar, 1 1/2 Tb. flour, cinnamon, ground ginger, and candied ginger. Add the plums and mix well. Arrange the plums, skin side up in pie plate, baking dish or your favorite dish. Combine remaining sugar, baking powder, flour. Mix well. Stir in the egg. Use your hands and mix thoroughly to make little particles. Sprinkle the whole thing evenly over the plums. Melt the butter and drizzle over the dish. Bake for 30 minutes or until brown on top. Remove and let cool. Serve ith ice cream with desired. I am so excited about having this for dessert tonight!! See, Mr. B has an issue with bananas: he only eats them if their skin is green, pale yellow or with very few blacks spots. He won't touch them if they are getting soft or old. Even if I go to the store rather regularly, I usually grab 4 or 5 for the week instead of one each time and by the end of the week there are always 2 left that the man won't eat. Although he likes my banana pie, I try to come up with other recipes. I did not want to make banana bread or banana muffins, I wanted to find a decadent cupcake recipe. I don't make cupcakes often, but this time I had an audience (the husband, the neighbors, their boys....almost everybody on the block!). I decided to go to one of the best cupcake resources I know of in the blogging world, Chockylit at Cupcake Bakeshop. I did a search for bananas and found the recipe I wanted: Peanut Butter and Banana Chocolate Cupcakes with Caramel Frosting. Just the title makes me salivate! Since I can't do everything exactly the same and since I had half a block of cream cheese leftover I decided to make a cream cheese frosting instead of her caramel one, but I am willing to make these again with the caramel! They are out of this world. 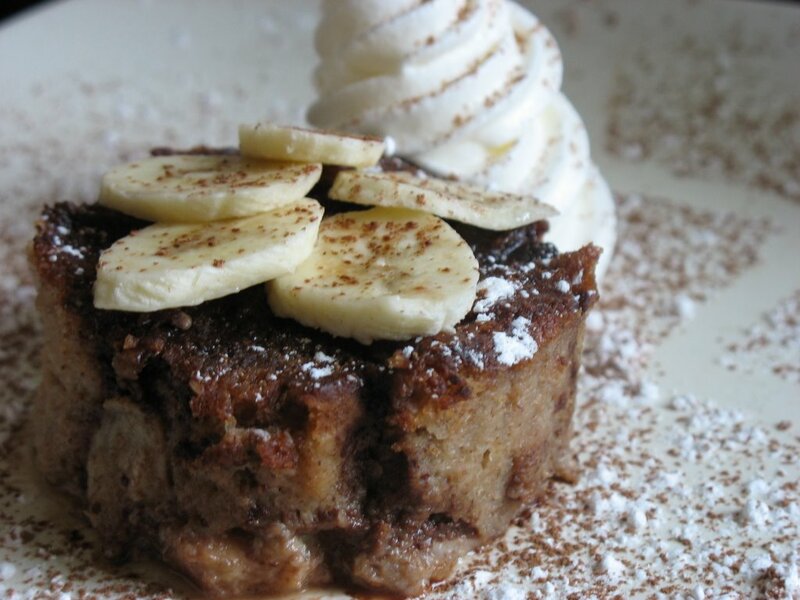 Fudgy, dense, peanuty, just plain decadent! I made the cupcakes in the afternoon and frosted them the morning after. I left a bundle on the neighbors (3 houses) doorsteps. 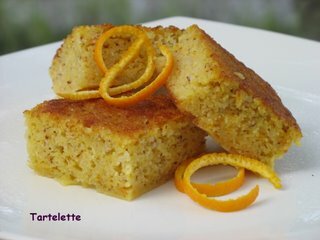 You can find the original recipe here (scroll down, it is the second recipe) and visit her blog at the same time. 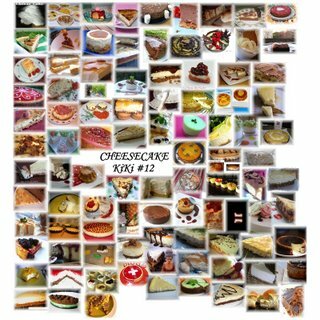 I drool at her recipes, pictures and creativity. She is my cupcake hero! Mix in brown sugar, peanut butter and egg in a small bowl and set aside. Melt butter and both chocolate over bain marie. Whisk together eggs and sugar. Add flour, cocoa, baking soda and salt. Mix to combine. Add melted butter and chocolate. Mix to combine. Stir in the mashed banana(s). Fill cupcake tins about 1/3 full, drop a tsp. of peanut butter filling into each tin, top off with cupcake batter to about 2/3 full. 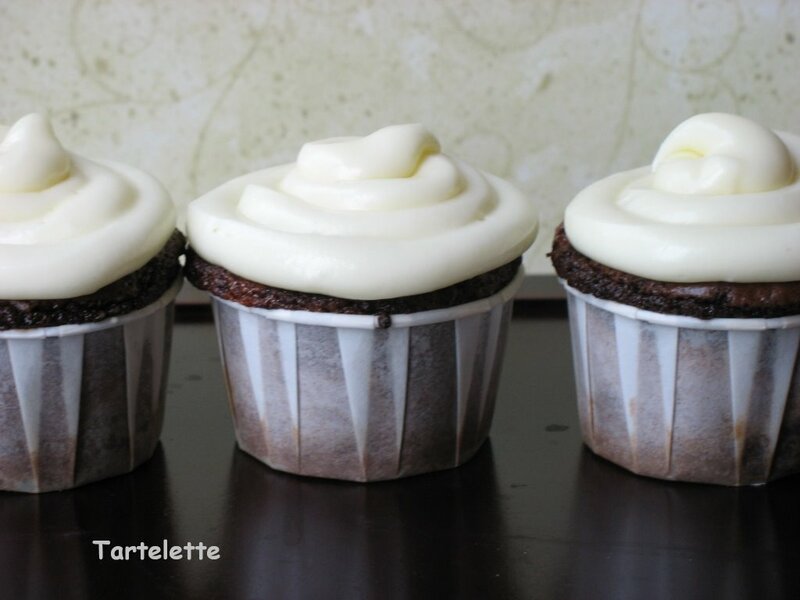 Bake for 2o minutes or until a crust forms on the cupcakes. 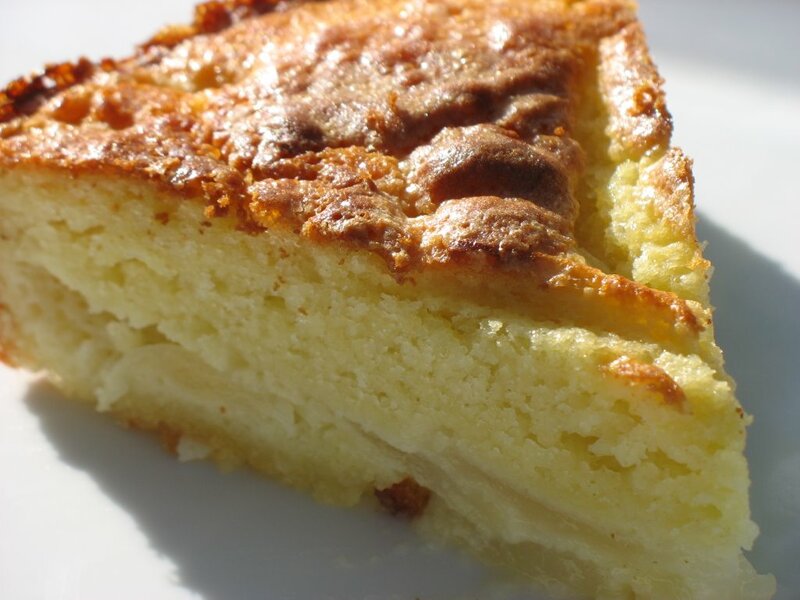 Whip cream cheese and butter together, add powdered sugar, mix well and add milk if needed. I have to admit I usually wing that one because I make it so often. I notice that Cheryl makes it the same way.